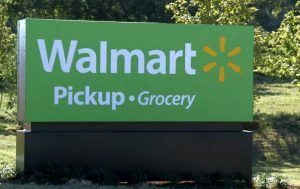 Walmart has a new grocery pick-up service! 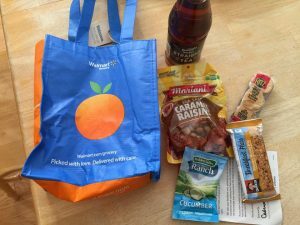 The other day I had the opportunity to try out Walmart’s new grocery pickup service and let me tell you I am in love! I got online to Walmart Grocery , and easily went through the site adding my favorite brands to the cart. I hate grocery shopping so doing this all online was phenomenal! The idea that somebody else was going pick up the products that I preferred was very appealing. I love the savings I get at Walmart because their prices are always low; however, I hate going to the store because everything is so spread out. The things I did not order was produce, dairy, and meat since I’m pretty picky with the ripeness of my produce and the expiration of my dairy and meat. I stuck to staple items for packing lunches, sports snacks, and dinner sides. It took me about 30 minutes to go through and order the things I needed. 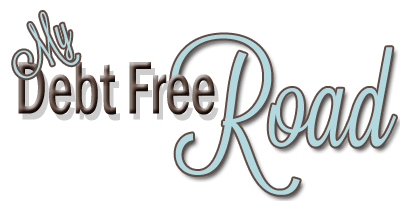 The website was easy to navigate and I used the search items to find the gluten free items. Next, I set up a pickup time and paid for my order. When I realized I forgot a few things, I went back onto the order and added those items. It was nice that I was able to do that since I hate it when I get home after grocery shopping and realizing I forgot a few things. On grocery pick-up day, I got a phone call about 10 minutes before the time I had selected. They told me my order was ready and to give them a call once I arrived so they could bring my order to my car. Delivery to my car! Can you believe it? They brought the groceries out and put them in the car. Never once did we have to step foot in Walmart! Hallelujah! My husband did the pickup, and he told me it was better than shopping at Walmart because you got the deals without the inside craziness. Want to try the grocery pick-up service? They are offering a $10 coupon for first-time orders over $50. You have nothing to lose. If you hate it, no need to shop there again. Take your $10 savings and run. 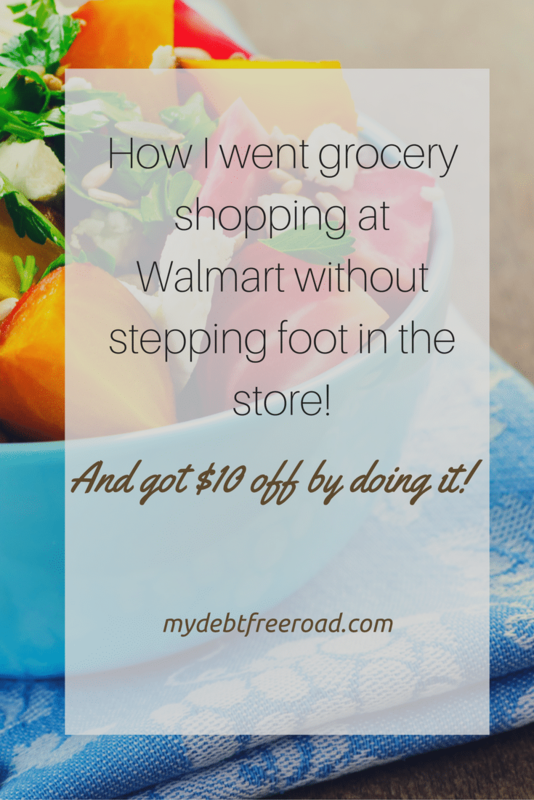 *Walmart did not contact me to review this new service, I did it because I love to save money and was shocked at how easy this was. PLUS, I didn’t overspend because I wasn’t in the store distracted by everything! The only thing I received was the $10 off my order and a welcome gift bag (picture on right) when we picked up the items. If your Walmart has this options, let me know what you think of it!